When word of the HTC One E9 first appeared last week, we assumed it would be an inferior cousin to the HTC One M9, like the One E8 was to the One M8. But the latest leak, brought to our attention by Engadget, makes it look like we may have been wrong. According to China's TENAA, the country's wireless regulator, the HTC One E8 will be a bigger, flatter (read: slimmer) version of the M9 flagship that HTC just released. Where the M9 is 5 inches, the E9 will be 5.5, and where the M9 has a 1080p display, the E9 will be quad-HD. Peep it in the photo above. 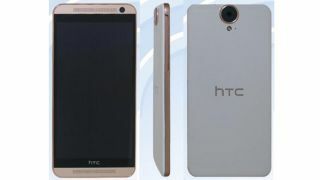 Upleaks has some additional info, claiming that the HTC One E9 will come in two variants, one with a 13-megapixel camera and one with the M9's 4-megapixel UltraPixel camera on the front. The tipster also says the E9 will run on a 64-bit MediaTek octa-core chip rather than the Snapdragon 810, which may or may not (but probably "not") be an upgrade. We're expecting some announcements from HTC soon, so keep an eye out for more. Is the Surface Pro 3 a laptop killer?